Click on image to right for aerial view of parking. Under no circumstances is parking permitted on the forecourt of the Garage. 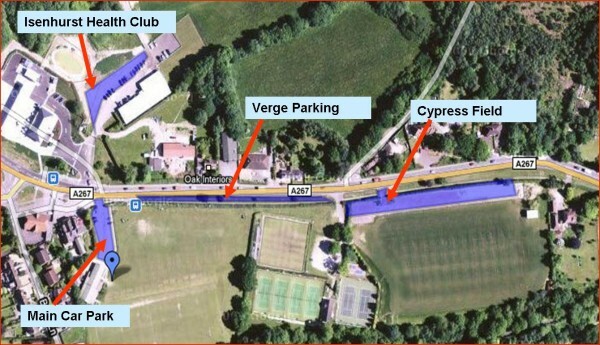 Arial view of parking is shown on the right - click to enlarge.